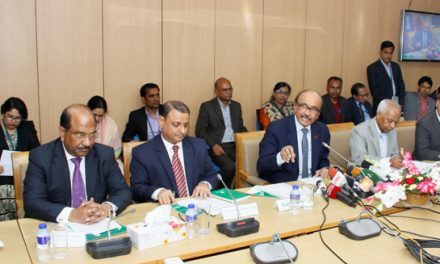 Dhaka, Bangladesh (BBN) – Bangladesh’s stocks stay positive at midday on Sunday as optimistic investors continued their buying binge on sector specific stocks. After facing mild correction in the previous trading session, the Dhaka Stock Exchange (DSE) and the Chittagong Stock Exchange (CSE) opened positive. Within first 15 minutes of trading, the key index of the country’s prime bourse advanced 10.42 points while the Selective Category Index of port city bourse rose 11 points at 10:45am. After 30 minutes of trading, DSEX advanced 10.60 points while the Selective Category Index of port city bourse rose 1.53 points at 11:00am. After 90 minutes of trading, DSEX, the prime index of the DSE advanced 13.44 points, while the Selective Category Index of port city bourse gained 25 points when the report was filed at 12noon. DSEX, the prime index of the Dhaka Stock Exchange (DSE), stands at 5,763 points, advancing 13.44 points or 0.23 percent at 12noon. The two other indices also maintained the positive trend till then. The DS30 index, comprising blue chips advanced 1.90 points or 0.09 percent to reach at 2105 points. The DSE Shariah Index (DSES) also rose 4.60 points or 0.35 percent to reach at 1,312 points. Turnover, the crucial indicator of the market, stands at BDT 3.97 billion, when the report was filed at 12noon. Keya Cosmetics was the most traded stocks till then with shares worth BDT 496 million changing hands, followed by Fu-Wang Food BDT 173 million, Peninsula Chittagong BDT 152 million, C&A Textile BDT 142 million and Confidence Cement BDT 117 million. 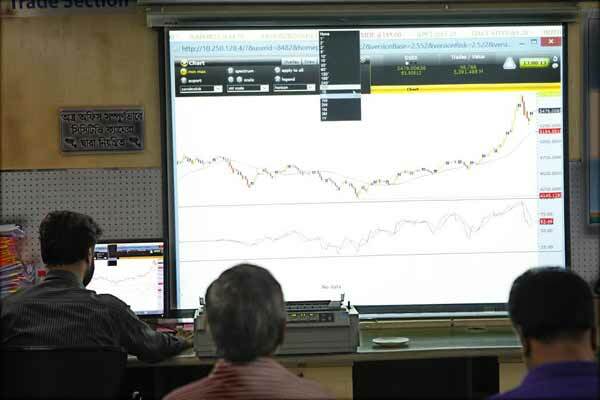 Of the issues traded till then, 180 advanced, 79 declined and 49 issues remained unchanged on the DSE trading floor. The port city bourse – the Chittagong Stock Exchange – (CSE) also saw positive trend with its Selective Category Index – CSCX – gaining 25 points to stand at 10,801 points, also at 12noon. Of the issues traded till then, 116 gained, 48 declined and 29 issues remained unchanged with BDT 238 million in turnover.